Stepping Stones made with Sweetwater's "noteworthy", is in the final process of hand sewing the binding. I needed a quick finish, and this pattern was the trick. It's very similar to the "double slice layer cake" method. 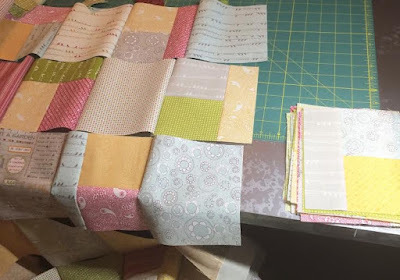 And I used the "stack and sew" method for piecing, which you can learn about here. It will literally carve out more hours in your day! I fell in love with this quilt from QuiltCon 2015. 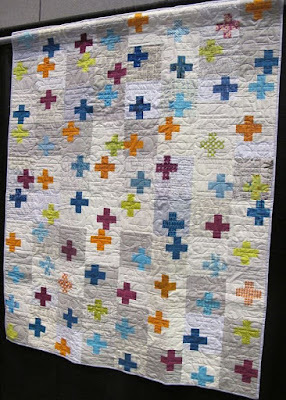 "Quilt 2" from the Ann Arbor Modern Quilt Guild - pattern by Debbie of Esch House Quilts . I not only love the design, but the quilting as well . . .
broken lines with random circles. The back is a take on Amanda Jean's "birch tree" design. Such a beautiful quilt. The quilting is fun and makes it look so cuddly. I have always loved that fabric line. I also love the front and back! 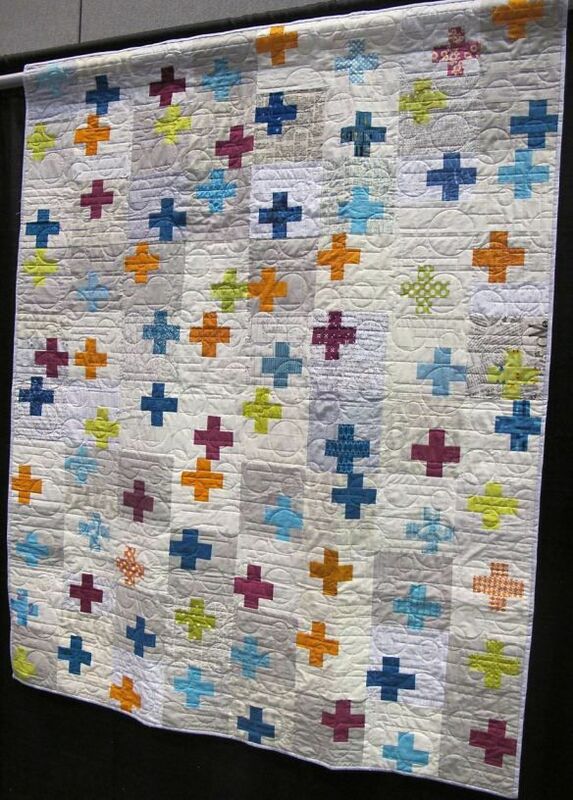 I especially like the circle quilting. 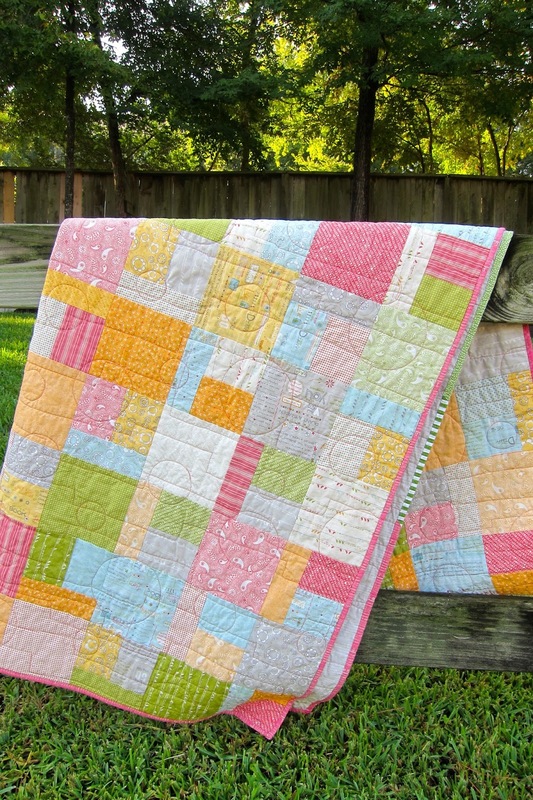 lovely quilt - really good job on those circles... mine would probably look like flat tires ! Great quilt. The circles in the broken lines quilting is excellent! 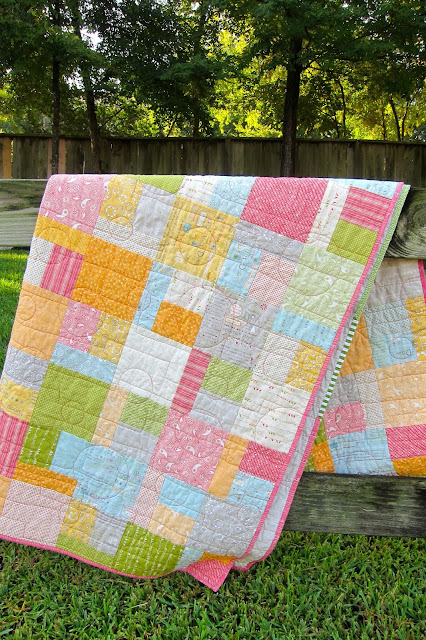 Hello, love the Sweetwater quilt! Thanks Beatrice for your great info. 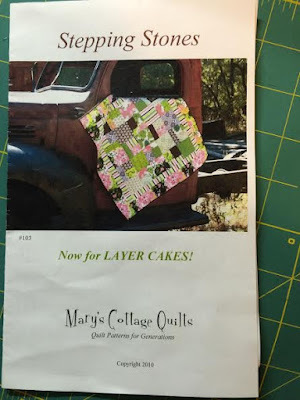 I've updated my post with the source and purchased the pattern. 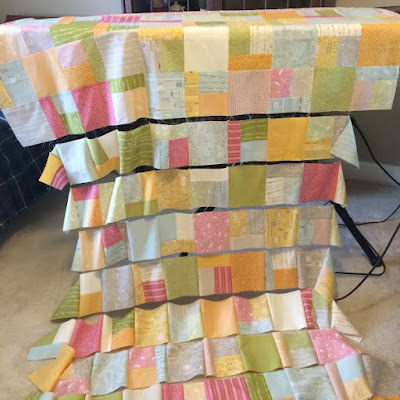 I'm SO making that quilt!! !